The 46-year-old man who died April 26 while in custody at the Benton County Jail suffered an "acute asthma attack" while on a supervised walk, authorities said Tuesday. According to previous reports, Rory Christopher Holmes fell unconscious while walking with two deputies around 12:48 a.m. on April 26 at the Benton County Jail. While a full autopsy report has yet to be completed by the Medical Examiner’s office, Undersheriff Greg Ridler said Tuesday that preliminary reports indicate that Holmes suffered an "acute asthma attack" that likely led to his death. “Unfortunately it was a severe attack that couldn’t be helped," Ridler said Tuesday. Holmes, who was booked into the jail on April 20 on charges of criminal trespass and failure to appear on a DUII, reportedly told the jail deputies that he was feeling ill and the deputies were escorting him outside to get some fresh air when Holmes collapsed. Ridler said detectives with the Benton County Sheriff’s Office investigated the incident and reviewed video surveillance footage at the jail which showed Holmes collapsing while being escorted by two deputies. Ridler noted that Holmes had previous medical issues related to asthma and anxiety since being booked into the jail. The full autopsy report is expected to be released at the end of the month, Ridler said. 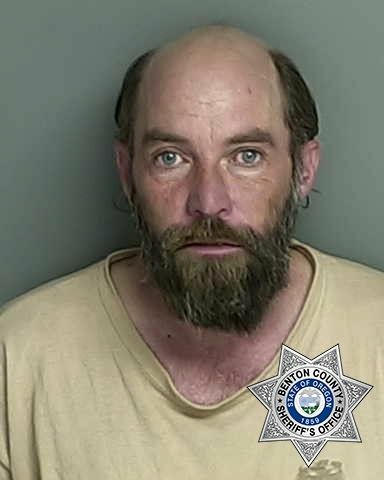 The death is the first at the Benton County Jail since September 2004, when 38-year-old Corvallis resident Roger Allen Steward hanged himself in the Benton County Jail an hour after pleading not guilty to violating a restraining order, according to previous reports.